Which? Campaign leads to ASA demanding that landlords and lettings agents must be transparent about undisclosed fees. Private landlords and letting agents have been told by the ASA (Advertising Standards Authority) that they must start to openly declare letting fees by no later than 1st November 2013. The new rules that have been introduced states that non-optional fees which include charges for references, inventories and administration fees must be included in the quoted rental price. 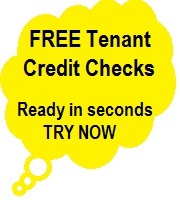 Residential lettings agents need to make these perfectly clear in all types of media and on their websites. Earlier in the year Which? confronted letting agents who they believed were breaking the law and insisted that they should be open about their fees that are “tacked” onto the cost of renting. Which? Research was carried out by their team of mystery shoppers, posing as prospective renters and visited branches of four lettings agents in London. They uncovered that only one branch of a letting agent actually told them about the fees without having to be asked. The team also were “disappointed” to find out that in many occasions the staff could not even provide accurate fee information, and that all of the lettings agents failed to come clean about their the fees in their online property listings and websites. Which? Research also found that the average cost for fixed referencing and administration fees across the agents was £310 and the highest charge was £420. Couple this with the fact that some tenants may also have to “stump up” for check-in and check-out fees and they could end up paying a total of £600.